I’ve known this client for about five years now. I worked on their master bath and closet remodel and I’m proud to say the images of that project have been pinned all over Pinterest. So, when they came back to me for their kitchen remodel, I couldn’t help but be really excited. Not only do I love their home and enjoy working with them, but I know their taste and personalities really well. Without a doubt, I knew this kitchen project would be one we would all be proud of. 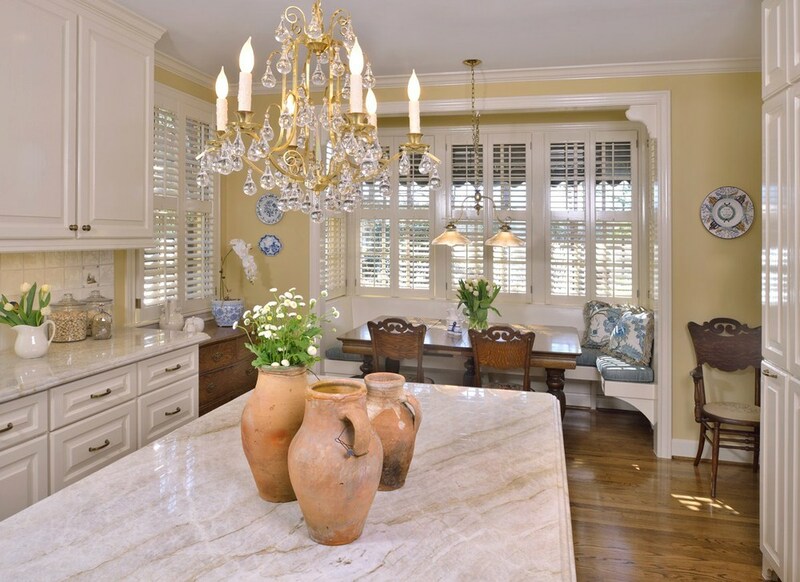 In terms of what they had pre-project, this kitchen’s overall style wouldn’t be changing much. Basically, it was a white kitchen. However, we tweaked aspects of it to make the design’s impact bigger via upgraded materials, better storage, and an overall increase in quality. We moved the oven down the wall -- adjacent to the door -- to make space for a grander hood and more room at the new cooktop. 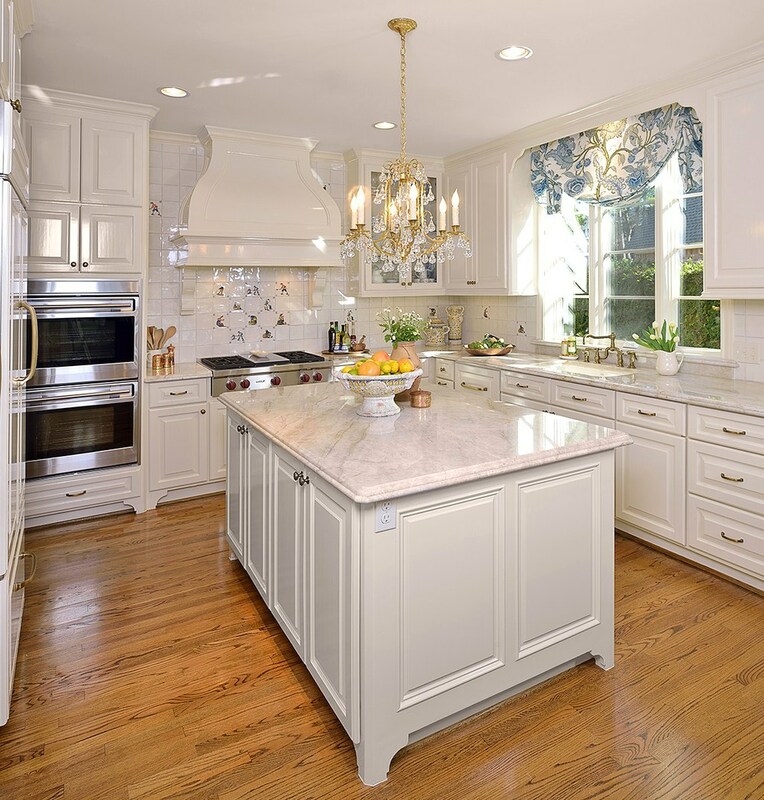 We put in a larger, more functional, island that was designed with a beautiful natural stone countertop. 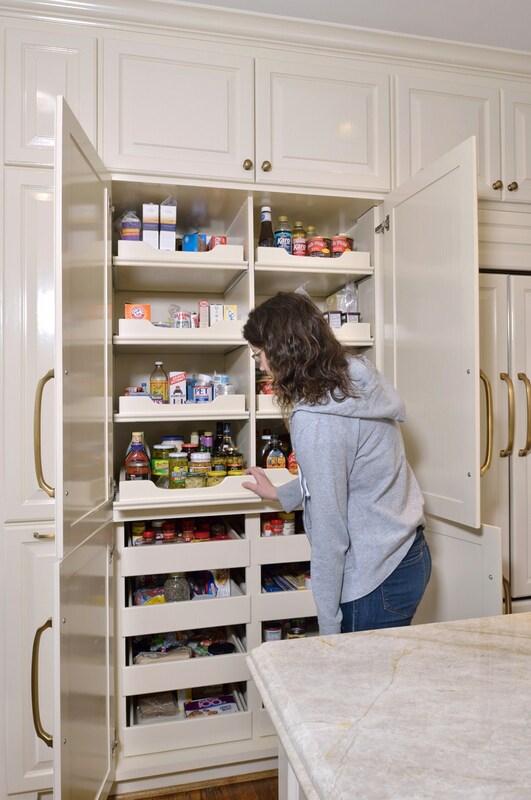 Previously located in a small closet, it was redesigned as a custom wall of cabinetry with better access and more storage. While we were at it, we hid that trash in a drawer by the sink too. Previously unused (except as a place for the house telephone), the desk was removed and a small niche was created at the end of the cabinetry. Imported, hand-made Portuguese tiles (specially selected, designed, and imported for this job). 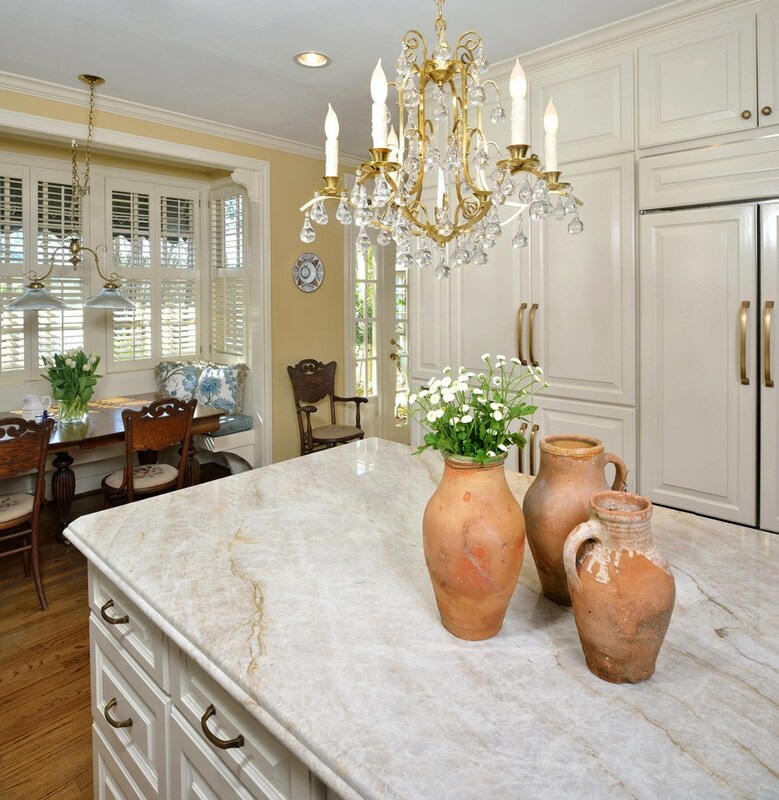 Taj Mahal quartzite countertop, selected for its creamy soft look and extreme durability. Beautiful custom window treatment in a soft blue Schumacher fabric to touch upon the homeowner’s love of blue and white. 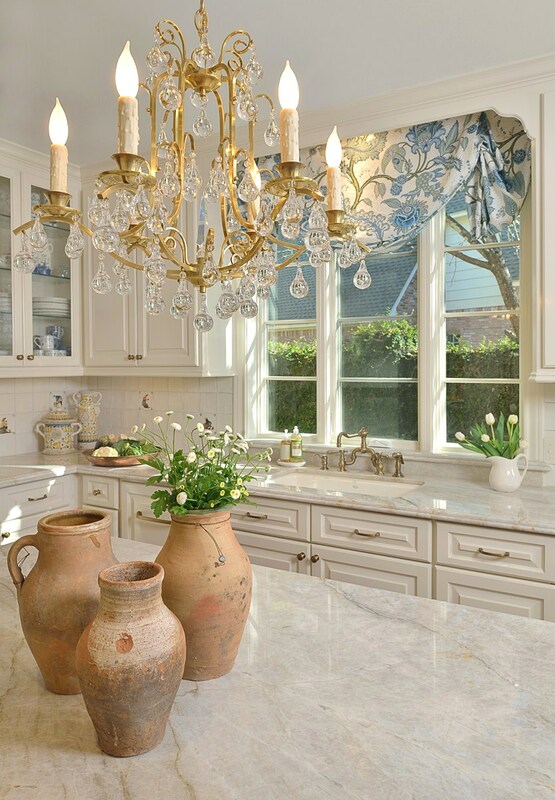 And the brass and crystal chandelier, previously featured in her mother’s old home, lovingly restored by the homeowners themselves and installed here, where they can enjoy it every day. 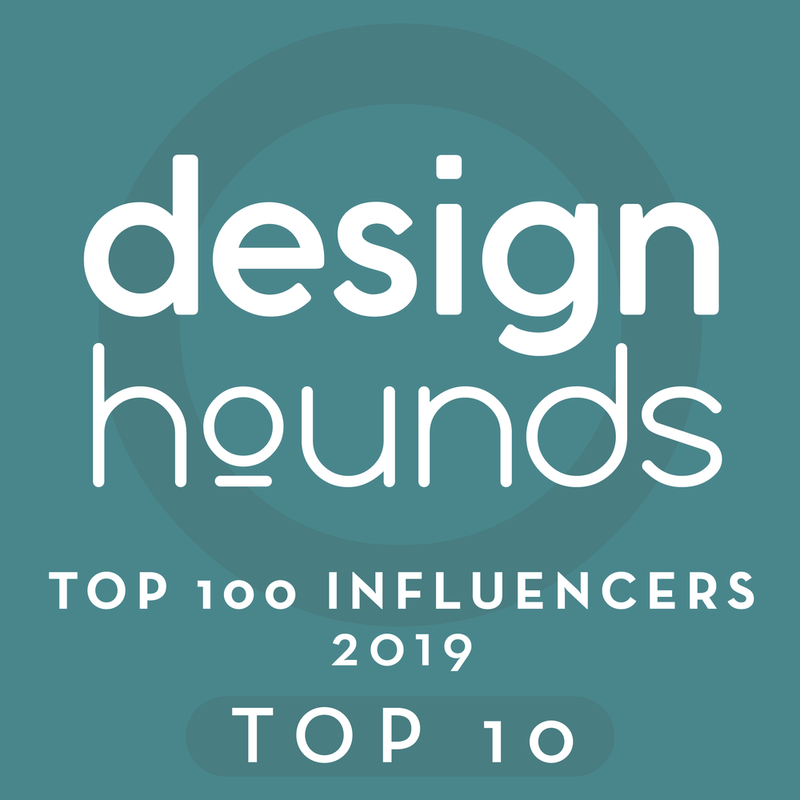 The look we achieved reflects my clients’ personalities to a T.
Enter your name and email address and the link to the source list will appear right here. Thank you! Here's the source list!